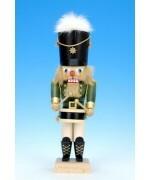 Here we have a selection of absolutely beautiful Christian Ulbricht nutcrackers. 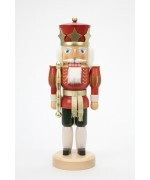 Note the beautiful detail and the expert hand work of these gorgeous nutcrackers. 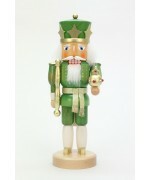 Made in Seiffen in the Erzegebrige region of Germany, the Christian Ulbricht family has been in existence since 1928 and their incredibly detailed nutcracker snd smokers are among the most beloved and collectible in Europe. 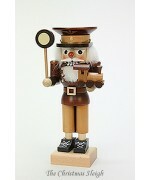 Take a look at the collection and see what you think! 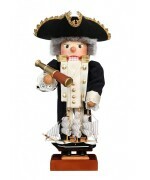 $348 Limited Edition of 1,000 Size: 17 1/2" tall Designed after the iconic James Cook, thi..
$310 Size: 19" tall A lot of care and love goes in to making good quality products tha..
$126 Size: 10.6" tall NEW FOR 2015 Christian Ulbricht revamps the traditional Black Forest..
$142.00 Size: 10.5" tall Back in the days of the stagecoach, this fellow would have been the ..
$348 Size: 20.3" tall NEW FOR 2015 Limited Edition of 1,000 Pieces Christian Ulbricht b..
$348 Size: 17.3" tall NEW FOR 2015 Limited Edition of 1,000 Christian Ulbricht puts their..
$---- Size: ---- This delight Santa Smoker makes a great addition to any and all Christm..
$374.00 Limited Edition of 1,000 Size: 9" x 19.5" tall Santa Claus is making h..
$240.00 Size: 14.5" tall This one of a kind drummer truly shines in his emerald green uniform..
$1,180.00 Size: 31.5" tall NEW FOR 2015 A true statement piece, this stunning Santa Claus ..
$142 Size: 9.5" tall This adorable train conductor makes the perfect addition any holiday dec..
Wildlife Santa Look at the yummy Lebkuchen (German Gingerbread) in Santa's sack! You can see the..
$420.00 "Christmas Time" Size: 18.5" tall Base Measures 5.5" W x 7.75" L Christian Ulbric..
Meet Christian Ulbricht's King of the Nutcrackers! 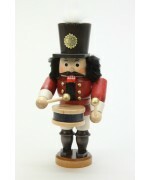 Festive and fun, he will be a colorful addition ..
$420.00 Limited Edition of 1,000 Size: 9" x 18" tall This special edition nutcracker is as..
$142.00 Size: 3.75" x 11.25" tall This delightful drummer marches to the beat of his own drum..
$374.00 Limited Edition of 1,000 Size: 9" x 19.5" tall This handsome nutcracker has just c..
$142 Size: 10.25" tall This cute skier is ready to make his winter debut! 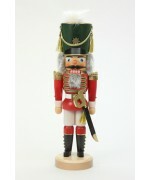 The perfect gi..
$---- Size: ---- This traditional nutcracker is of a noble Toy Soldier. 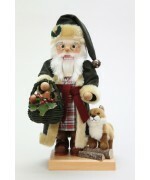 He sports classi..
$142.00 Size: 9.25" tall If you've ever visited the Black Forest then you might have s..
$224.00 Size: 14.6" tall NEW FOR 2015 A fresh interpretation of everyone's favorite feline..
$142 Size: 11" tall This mighty king nutcracker is ready to become a regular in your hol.. 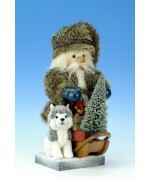 Size: ---- This fun loving Eskimo is ready to be added to your holiday decor. 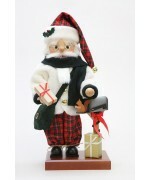 He sports a s..
$---- Size: ---- Sporting plaid from head to toe, this Santa Claus is truly a country ..
$ 395 Size: 19" tall A lot of care and love goes in to making good quality products that..
$395 Toymaker Spielzeugmacher Size: 17.5" tall A lot of care and love goes in to mak..
$240 Size: 14.8" tall This classic nutcracker makes a great addition to your holiday dec..
$320 Size: ---- The beloved characters from the Christmas ballet, The Nutcracker, are br..
North Pole Santa Size: ---- Wow! 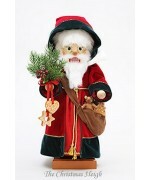 This Santa is fully decked out in fur for a journey thr..
How festive! 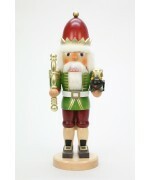 This darling Nutcracker byChristian Ulbricht is the perfect SantaClaus. 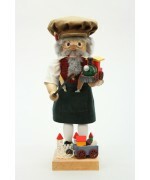 Made in Germany..
$394 Size: 19" tall Base measures 5.5" W x 7.75" L A lot of care and love goes in to mak..
$395 Size: 19" tall Base measures 5.5" W x 7.75" L A lot of care and love goes in to making ..
$142 The King of the Nutcrackers! 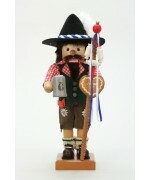 Made by Christian Ulbricht of Germany. 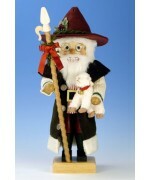 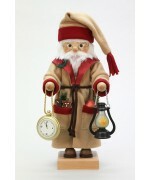 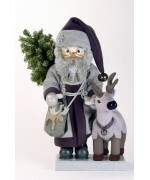 Size: 11" tall &nb..
Shepherd Santa Size: 18" tall Christian Ulbricht's Shepherd Santa reminds me of the wond..
Christmas Time"Large"Size:38" tallThis great Santa Claus stands over 3' tall! 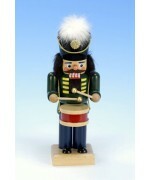 A true masterpiece by ..
You can almost hear the rolling of thedrums heralding Christmas! 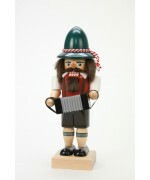 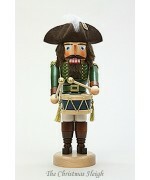 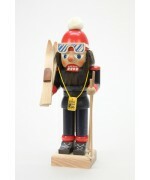 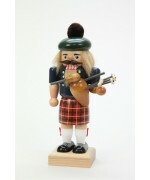 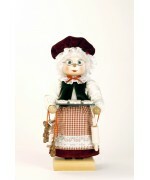 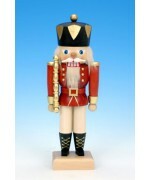 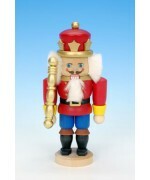 ThisChristian Ulbricht drummer is ..
$142.00 Size: 10" tall Cute drummer nutcracker by Christian Ulbricht of Germany. 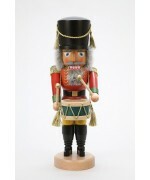 Every nu..
$374 Size: 8" x 19" tall Here we have a traditional German falconer ready to train his b..
$---- Size: ---- This delightful nutcracker is full of marvelous detail. 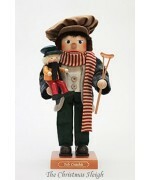 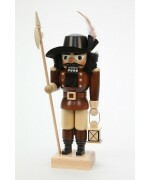 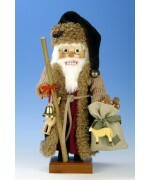 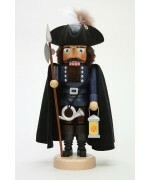 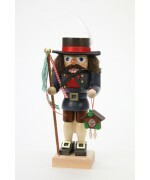 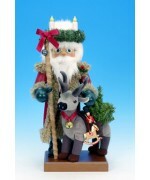 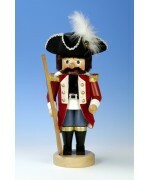 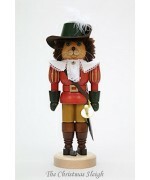 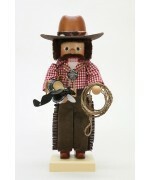 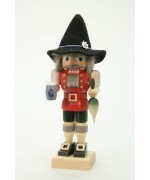 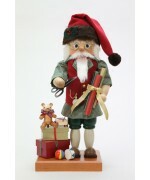 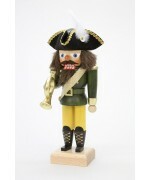 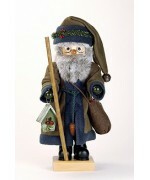 Note the garland ..
$364.00Size:8" x 19" tallThis handsome nutcracker is ready to go to Oktoberfest! 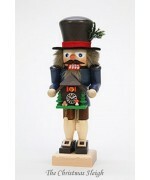 A true German at he..
$----Size:----Christian Ulbricht takes on everyone's favorite Christmasballet - The Nutcracker! 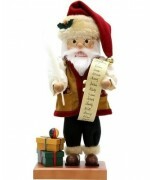 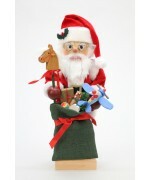 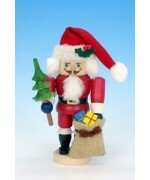 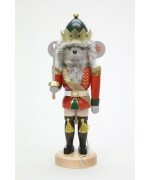 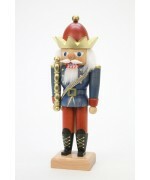 Here..
$374 Size: 7" x 15" tall A darling nutcracker to accompany your Santa Claus nutcracker. 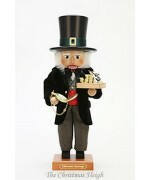 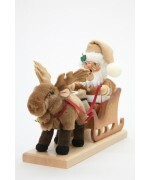 This ..
$394Size:----A fun twist on the traditional Santa Claus nutcracker. 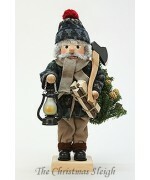 ThisSanta sports a more rustic l.. 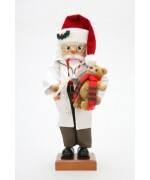 Size: 19" tall A lot of care and love goes in to making good quality products that will las..
$360 Size: 19.5" A lot of care and love goes in to making good quality products that will las..
$395 Size: 19" tall A lot of care and love goes in to making good quality products that ..
$384 Size: 19" tall A lot of care and love goes in to making good quality products that .. 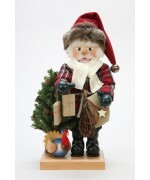 Size: 18.5" tall A lot of care and love goes in to making good quality products that will l..
$374.00 Size: 18" tall. 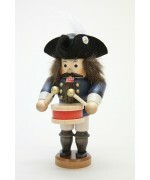 This patriotic nutcracker is perfect for Christmas AND the Fourth .. 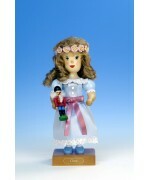 Size: 11.5" x 8.25" tall A lot of care and love goes in to making good quality products tha.. 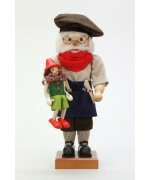 Size:9.5" tallA lot of care and love goes in to making good quality products that will last and last.. 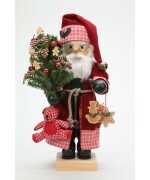 Size:3" x 6.75" tallSmall scale but perfect. 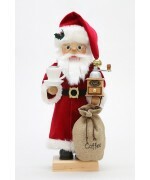 A lot of care and love goes in to making good quality p.. 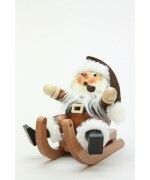 Size: 3" x 6.75" tall Small scale but perfect. 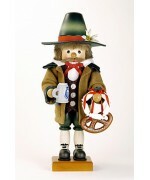 A lot of care and love goes in to making good qua..
$----Size:----This fun Oktoberfest themed nutcrackers makes a great addition to your "Biergarten". 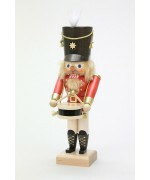 T..
$142 Size: 11" tall This small nutcracker makes the perfect addition to your Oktobe..
$142 Size: 9.75" tall This small nutcracker is perfect for the holiday season! 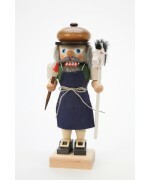 This deli..
$ 340 Size: 18" tall. 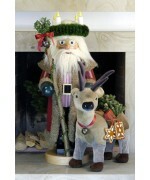 Here we have the King with the Frog Prince! 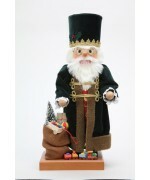 A fun twist on the cla..
$148.00Size:3.5" x 10" tallHere we have a traditional Tyrolian! 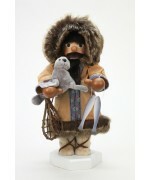 For those who don't know, he's from ..
NEW $374 Size: 18" tall Limited Edition of 1,000! 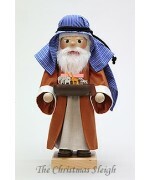 You've heard of Father Christma..
NEW for 2017! 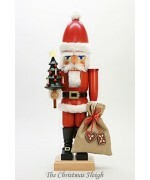 $374 Size: 18.5" tall Limited Edition of 1,000! 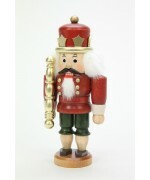 This special nutcracker m..
$356 Size: 18.1" tall NEW FOR 2015 Limited Edition of 1,000 Pieces The newest addition ..
$374 Size: 19.9" tall NEW FOR 2015 Limited Edition of 1,000 Pieces A gorgeous addition ..
NEW for 2017! 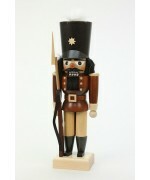 $200 Size: 16.1" tall This special nutcracker is finished in natural tones t..
NEW $240 Size: 15.6" tall This traditional drummer nutcracker makes a welcome addition to ..
$240 Size: 14.8" tall This stunning nightwatchman is finished in rich colors and careful ..
NEW $240 Size: 14.8" tall This vivid nutcracker is truly a unique piece! 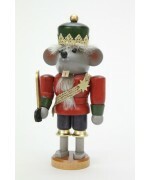 This regal king i..
NEW Size: 3" x 6.75" tall Small scale but perfect. 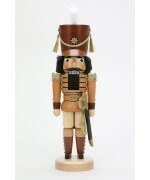 A lot of care and love goes in to ma..
NEW $142 Size: 11" tall This special nutcracker is finished in natural tones to truly show..
NEW $142 Size: 11.8" tall This special nutcracker is finished in natural tones to truly sh..
$142 Size: 11.2" tall This traditional, yet handsome nutcracker makes a welcome addition to a..
NEW $142 Size: 10.2" tall A reminder of days yore, this coachman makes the perfect ad..
$375.00 Limited Edition of 1,000 Size: 8" x 17.5" tall Christian Ulbricht brings to life t..
NEW for 2017! 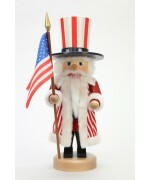 $374 Size: 18.5" tall Limited Edition of 1,000! 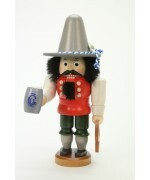 This special nutcrack..
NEW for 2017! 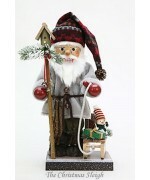 SANTA FATHER FROST $374 Size: 18.5" tall Limited Edition of 1,000! 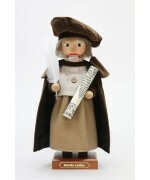 Th..
NEW for 2017! 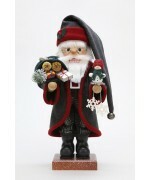 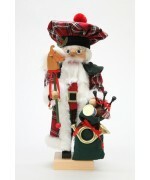 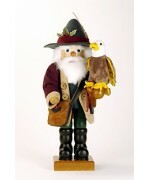 Scottish Santa $374 Size: 18.5" tall Limited Edition of 1,000! 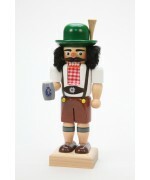 This s..
NEW for 2017! 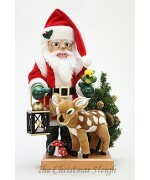 $374 Size: 18.5" tall Limited Edition of 1,000! 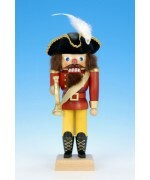 This special nutcracker mi..